I had the pleasure of meeting Danish thyroid advocate Helle Sydendal. We gave each other a big hug and became good friends. Not only is Helle passionate about advocating for thyroid patients around the world but she’s also a sweet person and I love that. I was really doing well in the years prior to receiving my diagnosis of Hypothyroidism. I had gotten married and had two wonderful boys. My husband and I had bought a beautiful old house together in the town where my parents also lived. My career really took off in those years as well. I was editor-in-chief at a big IT publication and earned a lot of money. Yes, things were really going well for me. But I gradually became increasingly tired and lethargic. I would fall asleep as soon as I got home from work. I became unfocused and forgetful. I started having problems keeping up with my assignments and became suddenly uncertain when having to make decisions in negotiation situations which was completely unfathomable to me because I had always been a very self-assured person. And I also started to gain weight. Slowly but surely. My face, my neck and my stomach swelled up and I could barely recognize myself. You Probably Recognize It Yourself. I struggled – not only to lose weight but also to regain my energy. I followed reputable diets and worked out under the supervision of a physiotherapist. I followed the diets to the letter and trained diligently each and every week, but nothing helped. I grew fatter and fatter. I slept and slept without ever feeling refreshed. I could just barely keep up with work but got through it thanks to my amazing secretary, Henriette. House work? That was completely out of the question! I slept while my husband cleaned, cooked and restored our old house. The little energy I had I would spend on my sons, giving them all the attention they needed, but after I had done that I would have absolutely no energy left. Wham! That comment really got to me! Boy, did I get angry! By mere chance, there happened to be a young doctor in training sitting in the office to receive me on that day, and not my usual doctor who always prescribed healthy dieting and exercise every time I came to see him because of my lacking energy and increasing weight. The young doctor immediately suggested that I have a lot of blood tests taken to see what I was suffering from. The blood tests showed that I had hypothyroidism. The young doctor told me that I would have to take medicine for the rest of my life. And he wasn’t at all surprised, he had already guessed it, he said, upon seeing me and seeing my double chin, my dry hair, the bags under my eyes, my large stomach, and the way I limped. I was shaken. Why hadn’t my old experienced doctor been able to spot that? He had even known me back when I was slim, full of energy and always ready with a quick rhetoric. The next two years I took medication similar to Synthroid (T4) which gave absolutely no result. I continued to grow fatter and increasingly more tired and unfocused. I had pains in my joints and muscles. It was bad. And still I received no help from the doctor. ”Your lab tests are fine, the symptoms are not connected to your thyroid. Eat less and work out more,” the doctors would always say. Meanwhile I’d be sitting in front of them, crying and trying to explain to them that I really was feeling very ill. In a round about way, I got an appointment with a professor in endocrinology at a hospital not far from where we live. That was what saved me! That gave me my life back! I explained everything to him as the tears trickled down my cheeks. I described all the symptoms I had been experiencing of which there were many. I told him how the medicine wasn’t helping and that I wanted to try something else. ”Well, those are all typical symptoms of hypothyroidism. So I think you should try a different kind of medication,” he said and prescribed Liothyronine (T3) which I was to take together with my usual T4 medication. Was It Really That Easy? Yes, for me it was, or, at least, almost. It took me two years to completely get my normal life back and get rid of all the symptoms. But already the first T3-pill I took had an effect on me. After 2 years I have now fully recovered, but why write a book? There are several reasons for writing a book. I used it as an outlet for all my frustrations and to work through the experiences I had during the course of the disease. And as a journalist there is nothing more natural than sitting down and writing. I sought information about my disease. In Denmark, where I live, there was not one book published on the subject. So I ended up buying a lot of American books on the topic instead. As a teenager I had lived a few years in North Carolina. I went to school there for a couple of years. And in Denmark you learn English from fourth grade and many of the TV channels are in English. What I want to say is – I was pretty good at English. Denmark has a population of 5.5. million inhabitants, approximately the same number of people who live in Philadelphia, PA, and it is the only country in the world where Danish is spoken, so we Danes have to be good at English. In other words, the fact that the books I bought on hypothyroidism were in English wasn’t a problem for me. But due to brain fog and concentration difficulties, I would read the same page over and over again without being able to grasp the content. So a lot of books ended up on my bookshelf without my ever reading them. When I finally restored my health receiving both T3 and T4 thyroid medication I decided that I was going to write a book. I wanted it to be thoroughly written yet easily accessible and manageable for the reader. The books I had read about hypothyroidism had normally many pages and were not necessarily organized in a reader-friendly fashion. This would under normal circumstances, have been no problem for me, but due to brain fog and the constant need for sleep, I would usually have to give up reading the books. In my book, From Hypothyroid to Healthy , I tell my own personal story about how I deteriorated and was really unable to do anything and how I restored my health, returning to life full blast. But there are also chapters in which I go into depth with everything, from symptoms to diagnosis and treatment. My wonderful doctor, professor Jan Kventny, has read through my book and assisted me with some of the information. When the book was initially published in Denmark the sales sky-rocketed and it was on all the best-seller lists. Suddenly I was being approached by Danish TV channels and the printed media. In one sense it is, of course, unbelievably wonderful when there are so many people out there who want to read your book. But in another, it’s also really depressing to see that there are so many other people who have had a similar experience. Many people were sick for years before receiving treatment – others got the diagnosis and treatment but continued to feel sick and were not offered to try out another kind of medicine. Often times patients will talk about how much better countries outside of Denmark are at treating Hypothyroidism, but I’ve come to realize that that idea is unfortunately just a myth. Patients the world over are in the same situation as me. Everyone I’ve been in contact with has told me the same story: TSH is the standard blood test. T4 is the standard medicine. After my book was published in Denmark I have been approached by thousands of women and men who are in the same boat. It’s been so overwhelming that my kids have had to get private telephone numbers because they were getting calls from numerous people suffering from the disease who couldn’t get through to me. More than a year after my book was published in Denmark many people still write to me – and call me every day. I couldn’t manage returning their calls or talking with all those people because I needed time to do my own work and care for my own family. And the calls were pouring in round the clock. I, of course, have considered putting the disease behind me and getting on with my life now that I am no longer suffering from any of its symptoms. But I just can’t do that. Instead I took the initiative to start an organization for patients DDHL (www.ddhl.dk). I got together with some other resourceful patients and their relatives. That way there are more of us who can advise new patients. But it was also to create a platform from which we could start influencing politicians and doctors so that there will be more focus on hypothyroidism and the possibility to develop more types of treatment in the future. In the U.S., Denmark and many other countries you can easily find doctors that provide individual treatments that include both natural desiccated thyroid (NDT) and T3. But it’s usually through private doctors which costs a lot of money and I simply refuse to accept that effective treatment of hypothyroidism is only accessible to the wealthiest strata of society. I believe that we can collaborate across national borders. Both as patients by way of social media and the possibility we have of just clicking into a website from another country. But I also believe that an international collaboration would contribute to the spread of important research that needs to be done on, for example, T3 and NDT, across national borders. I have spoken with a number of researchers and doctors and their impression of patients suffering from hypothyroidism is that they are a very assertive group and good at making themselves heard. By all means, let’s continue in that vein. We may just end up being heard! A book can actually change lives. 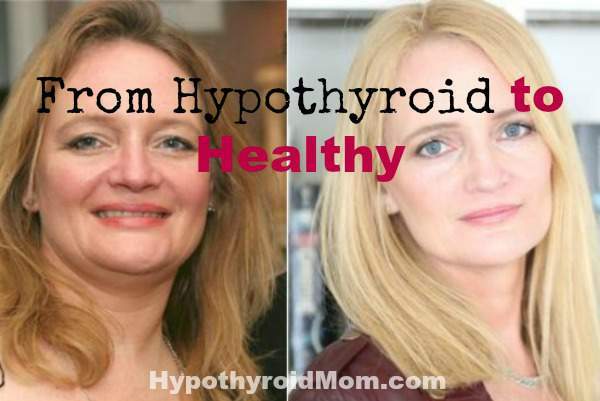 This is what I discovered when I shared my story (and the stories of others including Hypothyroid Mom’s Dana Trentini) in my book From Hypothyroid to Healthy . Today I have the energy and gumption to fight and I am now ready to contribute to improving conditions for people with hypothyroidism. Hypothyroidism may have brought me down, but now I’m back. I got my life back. I feel healthy again even though I have a chronic disease I will have to deal with for the rest of my life. What is T4 medication called? What is T3 medication called ? I am experiencing some of these hypothyroidism symptoms. There are also natural remedies that have worked for others. It isn’t called Armor (not sure if that is the spelling) but it is from pigs, and works very well for some. I would suggest researching them on your own.:). Good luck! I used to receive emails from you, but I haven’t received any for several months. I don’t know what happened. I tried to sign up by entering my email address and first name in the appropriate box, but nothing happened. I would like to start getting your articles in my email again. I apologize for using this area. Thank you. Was diagnosed as Hypo back when I was 18 , I’m 44 now, 3 kids later and fighting with Dr after Dr about how I feel. My last Endo finally diagnosed me as Hashimoto’s, put me on a T3 and when I went back 3 months later he asked how I felt since taking the additional meds. When I explained that I felt no different, he told me there was no reason to be taking the T3 and he’d see me in 6 months. I’m not going back and currently looking for another Dr. I’m extremely tired of being tired and overweight when I eat like a rabbit. At my wit’s end with all of this. I was diagnosed with hypothyroidism when I was 10 years old and blood tests showed I was almost comatose. 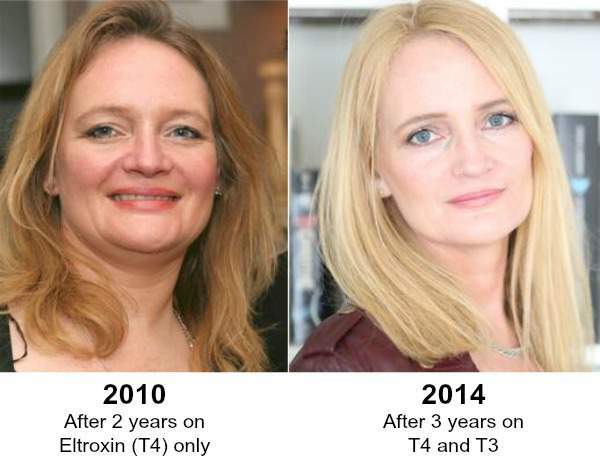 I’ve been treating it with Levothyroxin for over 25 years and within the last year switched to a natural medication. I still struggle with the symptoms you mentioned ie. joint pain, exhaustion, brain fog, etc. I was afraid it was all in my head or that I was over exaggerating how I feel. I am a mom of 5 beautiful kids and have a wonderful husband. I hope I can get my condition under control so I can enjoy my family again. i have dignosed >TSH , But i am underweight i.e BMI 18. also PCOS, Doctor has advised Thyronorm 50. I am confused with symptoms.